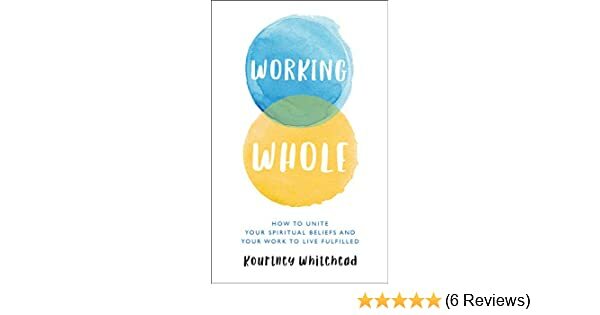 I had a chance to interview Kourtney Whitehead, a career coach and the author of Working Whole – How to Unite Your Spiritual Beliefs and Your Work to Live Fulfilled, which I reviewed on this site. 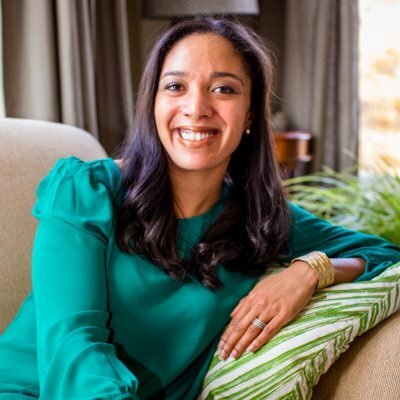 Through positions at top executive recruiting firms and consulting companies, she has helped people reach their work goals with a focus on supporting spiritually centered work lives. In what way does the working world often conflict with people’s spiritual beliefs? Most of us seek out spiritual beliefs because we are looking for a way to escape the stressful, constantly busy, ego-driven and competitive dynamics we find ourselves surrounded by in daily life. Yet at work, we actively encourage these behaviors in ourselves because we think it’s the only way to reach our career goals and meet our need for financial security. We’re conflicted because we sense that these kinds of working experiences are robbing us of peace and joy. 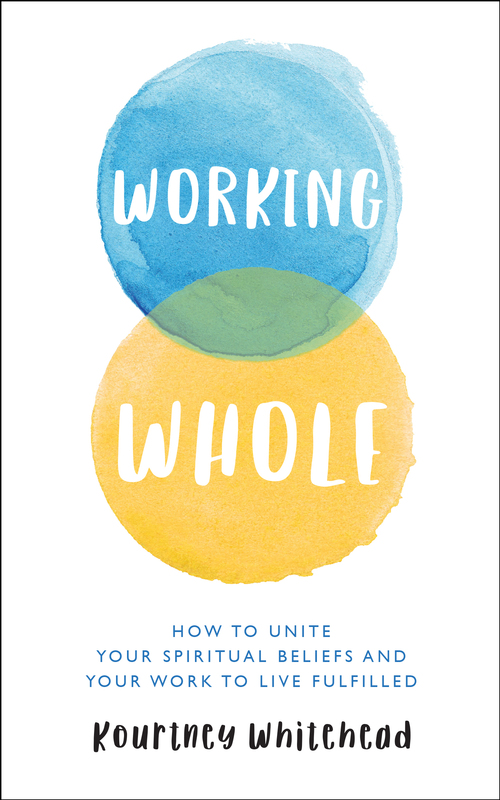 The main reason I wrote Working Whole is to shed light on how to eliminate this conflict between what we believe and work. It is possible to seek a higher state of contentment, while still providing for ourselves (and our families). In what ways do such conflicts affect people’s attitudes toward their careers? A work life that is misaligned with your beliefs will produce anxiety, reinforce isolation and increase perfectionism. All of these things are the opposite of how we want to experience our limited and precious time in life; they drain our happiness and energy. And this is the reality of many people’s careers, unfortunately. Instead of work making their life experience better, it has become a necessary evil — something to be tolerated or conquered. But don’t give up hope. Our work lives can (and should) be a major source of joy when we align our work with who we truly are at a deeper level. What are some core values that people find missing in today’s business culture? There are eight core beliefs (or values) that are covered in Working Whole —humility, surrender, discipline, gratitude, connection, love, power and patience — and all of these tend to get overlooked or become warped in today’s business environment. For example, we want to cultivate humility in our personal lives, but we see self-promotion as key to achieving success in business. Or, we may want to have the spiritual peace that comes from surrendering the illusion of control, but we worry that releasing control in our work lives will make us passive, lead to mistakes or create a competitive vulnerability. However, none of these fears are legitimate; our beliefs belong in our work lives and actually empower us to be more efficient and effective at getting what we want. What are some ways to integrate spiritual values into the working world? Let’s use the spiritual tenet of humility as an example. Humility necessitates transcending beyond self-importance. Yet professionals are encouraged to engage in self-promotion to help advance in their company and career. At work, we’re judged in comparison to others and feel a need to define how and why we are special. Humility invites us to see the equality of all people, regardless of talents, connections or title. When we free ourselves from the pressure to be special, we also free ourselves from the fear of being found inadequate or flawed. Humility is the secret to exuding authentic confidence. In my experience, it’s rarely a lack of effort that sabotages our career pursuits; it’s a lack of confidence. With humility integrated into our work lives, we are guided by a more thoughtful strategy, having considered implications outside of our own interests, and we are bold enough to put our plans into action. Integrating humility may cause us to engage less in self-promotion, but our reputation and impact will also increase because of it. What is the first step you advise taking to develop a new, more value-driven approach toward work life? While there’s no quick fix, the first step lies in prioritizing your spiritual growth over any other work goal. If you are stuck in the grind of chasing achievements or barely enduring your work days, begin with reconnecting to or deepening your preferred spiritual practice. Don’t relegate your spiritual beliefs to your personal life only. Work to integrate what you believe into all areas of your life, including work. This will help you better assess your career situation and make the real-life decisions that will lead to greater work satisfaction (and often greater business success, as well). To learn more, visit SimplyService.org.